We have nearly 100 members. About 60 attend our Sunday service. Our service is inspiring and meaningful, including guided meditation with a period of silence (3 minutes). The message or Sunday talk offers insight that fosters spiritual growth and awakens you to your spiritual nature. We feature regular musicians as well as guests chosen carefully for their gifts as performers as well as their alignment with our teachings. This is a warm, inclusive and welcoming environment. As a first-time visitor, what can I expect?  will receive our weekly emails on upcoming services and musicians as well as information about classes, workshops and events at Unity of Pasadena. You will also receive our monthly newsletter. We never share your personal information. Whether you choose casual or Sunday best, we welcome the style that makes you feel comfortable. I have children. May I bring them? Yes. Children are welcome at our Sunday services. Engaging songs and a special children's blessing will help them participate in the service and learn some of the most fundamental Unity principles. We also understand that small children are sometimes bored during the slower moments, so please feel free to bring toys, books, etc. if they want to play quietly on their own.